Grand carousel is a kind of family and thrill amusement rides. It usually drawing people and kiddie’s attention by its grand appearance, shape, colorful lights and splendid music. So for grand carousel its overall shape is very important. 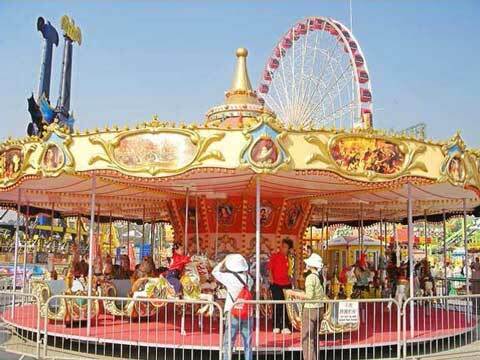 In the amusement rides market, there are two kinds of drive mode: top-drive and under-drive carousel for sale. 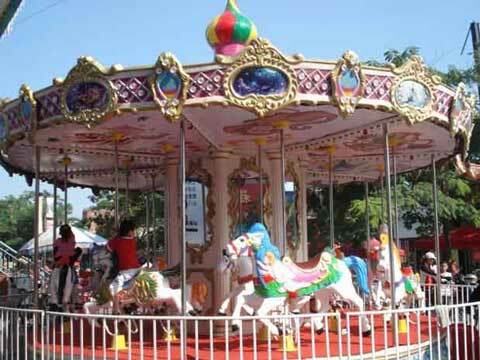 For under-drive carousel, motor is put under the bottom, bearing and lifting rods link the horses, it only moves up and down, that is the working principle of under-drive carousel merry go round. But for the top-drive grand carousel, it has motor on the top, and there is gear and bearings and rods link motor, when the motor start to run, it drive gear, gear drive rods lifting, up and down. Top-drive carousel makes people have a feeling of fly, just like you are riding a real horse, but it is a special and impressive experience. 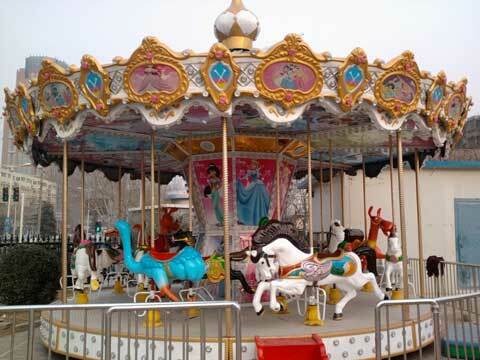 As a leading, professional grand carousel manufacturer, Beston provide the above two styles of carousel merry go round, and can be customized according to customer’s request. 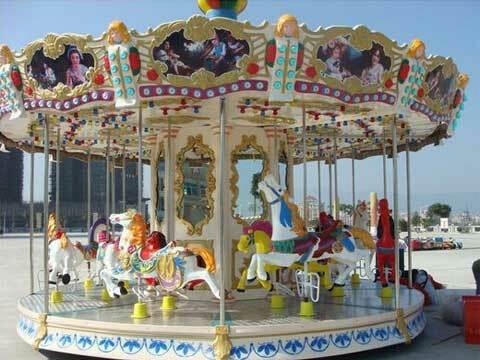 So if you have any idea about your purchasing of grand carousel merry go round, just feel free to contact us!